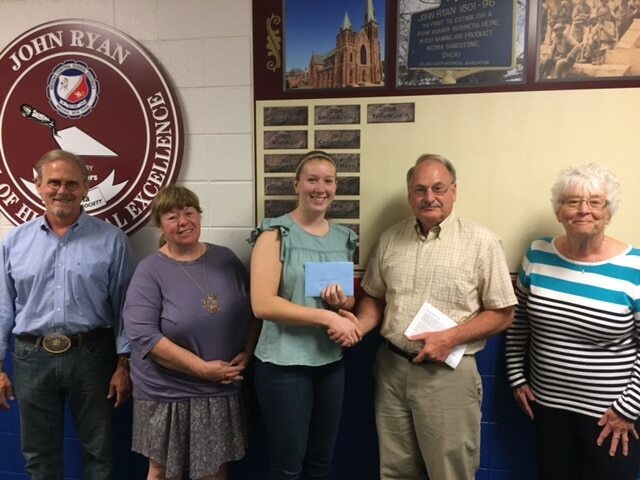 The Medina Sandstone Society recently awarded Medina senior, Madeline Winters, the Outstanding John Ryan Scholar and a $ 500.00 Scholarship. Shown below are the John Ryan Scholarship review committee consisting of Steve Bunch, Mary Zangerle and Sue Holland. 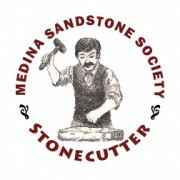 Making the presentation is David Miller, Vice-President of the Medina Sandstone Society. 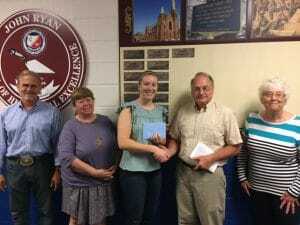 The John Ryan Scholarship program was started 3 years ago by the Sandstone Society and in cooperation with the Medina High school History Department under the direction of teacher Todd Bensley. 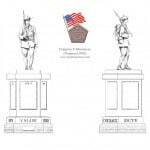 In addition to the Scholarship, students are inducted to this program will have their names inscribed permanently on a wall in the hallway of the History Department and will have a special designation recorded on their High School diploma. The overall purpose of the John Ryan Scholar’s program is to instill in high school students, interested in History, to find out about and become involved in the community in which they live. 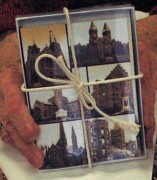 John Ryan was the first to open a commercial quarry in Medina in 1837 and quarried the famous Medina Sandstone.